Just a quick post ladies to let you know that Sainsburys are doing any 2 John Frieda products for £7.50! Which is a total bargain as most sell for around £5.00-£6.00 each anyway. 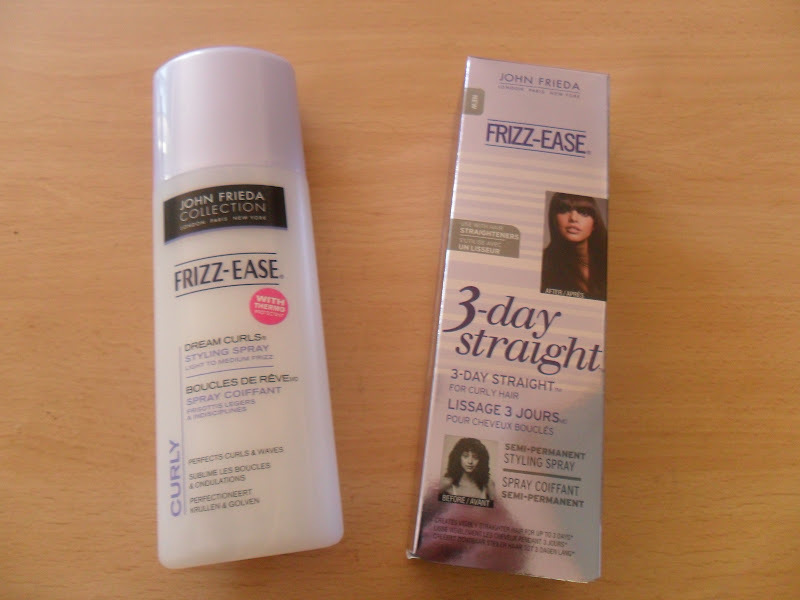 Also I noticed online that Boots are doing John Frieda products on 3 for 2 so if you like John Frieda (I LOVE John Frieda) then stock up while it's on offer. John Frieda Dream Curls Spray RRP £5.29 - I have naturally wavy hair although I straighten it most days I do like to curl it for nights out, I have never used this product before so when I do I will review it for you. John Frieda 3 Day Straight Spray RRP £6.99 - I love this product and this is my second bottle of it, I posted about it here if you want to see pictures of what my hair looks like when I use it. Heya just stumbled upon your blog today! It's really cute, been looking through your posts and love them, I am your newest follower! If you have a mo, please check out my blog, and follow if you like what you see! Oh wow that's great, fingers crossed they will still be on offer in Supe4rdrug when I next go shopping (Thurs) !! !